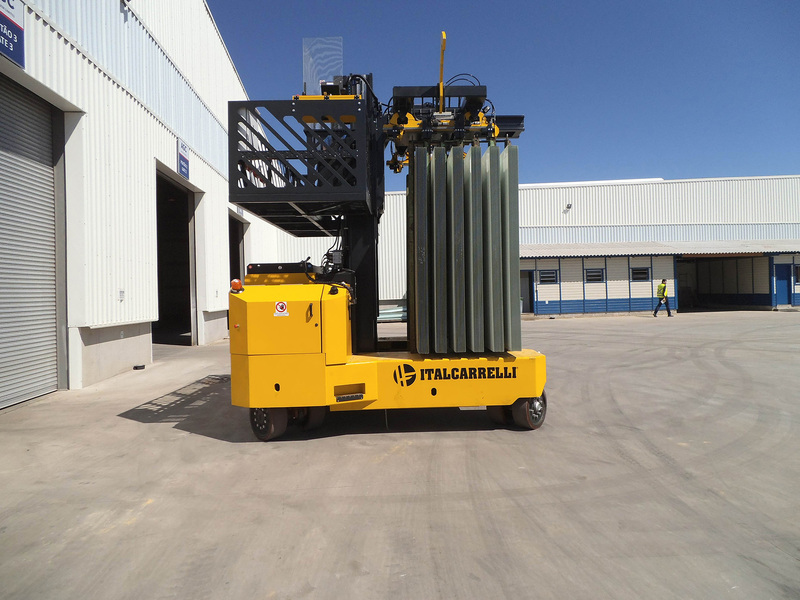 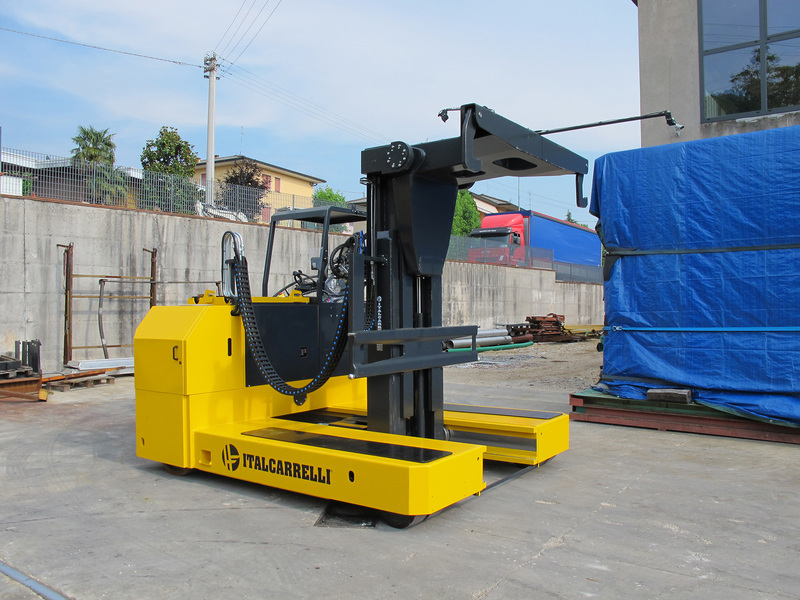 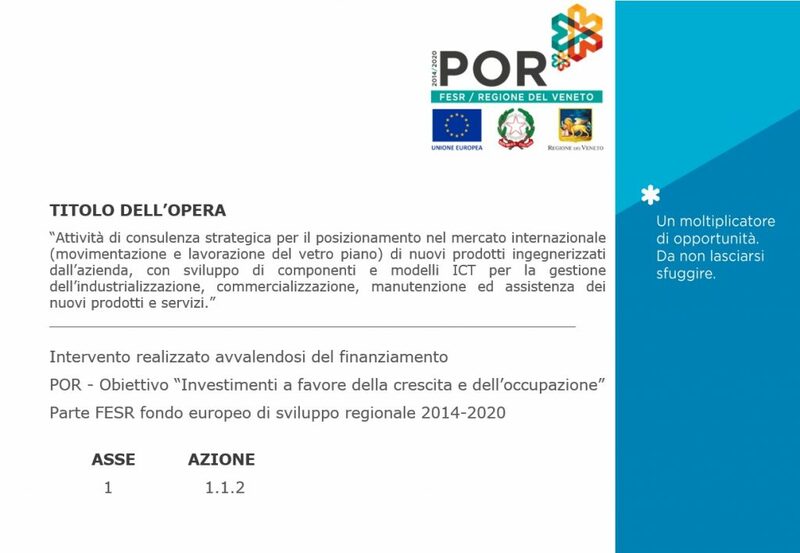 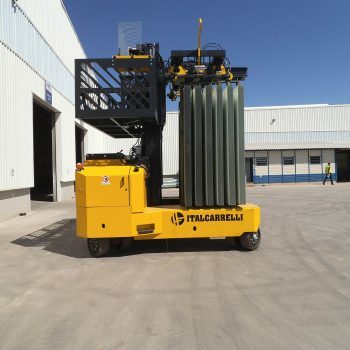 Italcarrelli® also designs and produces equipment for the handling of sheets under special conditions. 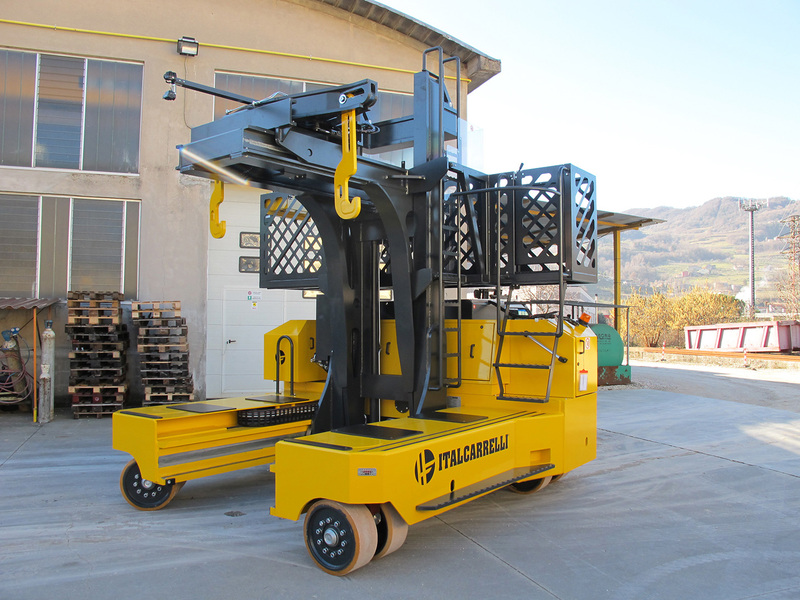 Italcarrelli® also designs and produces equipment for the handling of sheets under special conditions. 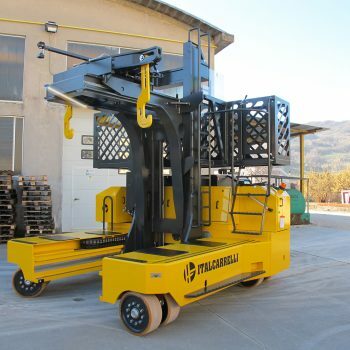 For example, we produce hydraulic equipment able to pick up the glass packs and turn them landscape – portrait and portrait – landscape. 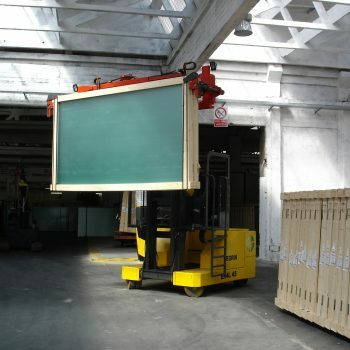 We also manufacture special attachments like hydraulic clamping devices for the handling of packed glass as well as special side-loaders for the handling of glass on racks. 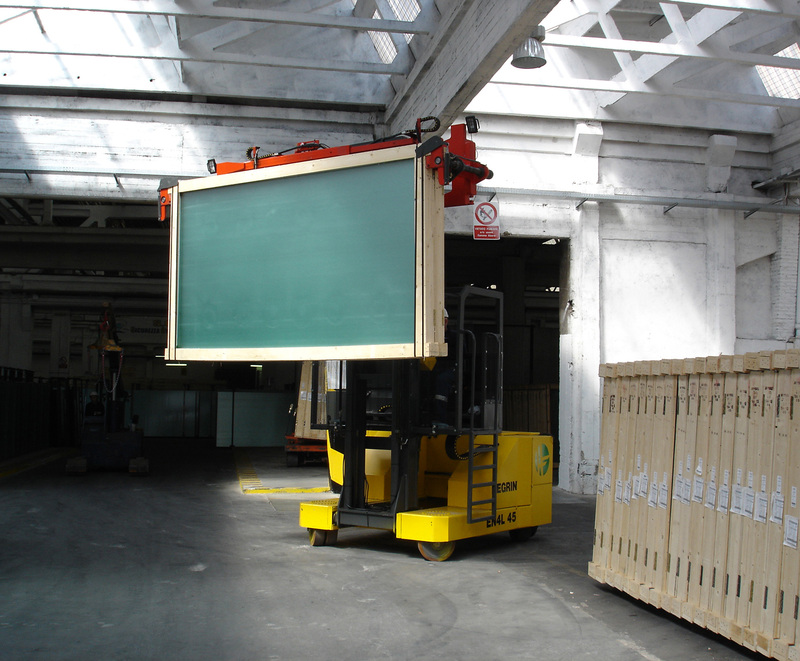 Italcarrelli® keeps developing innovative means that are then applied in several glass industry fields, among which the production of laminated and solar glass. 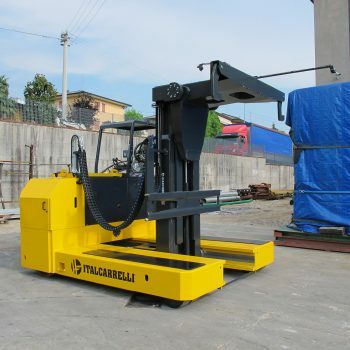 and maneuverability offered by these means to the operator under any condition.